Just before the outbreak of World War II, young Witold Gombrowicz left his home in Poland and set sail for South America. In 1953, still living as an expatriate in Argentina, he began his Diary with one of literature's most memorable openings: "Monday Me. Tuesday Me. Wednesday Me. Thursday Me." 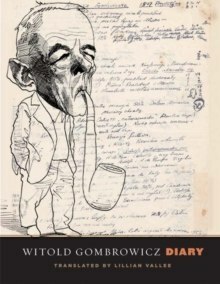 Gombrowicz's Diary grew to become a vast collection of essays, short notes, polemics, and confessions on myriad subjects ranging from political events to literature to the certainty of death. Not a traditional journal, Diary is instead the commentary of a brilliant and restless mind. Widely regarded as a masterpiece, this brilliant work compelled Gombrowicz's attention for a decade and a half until he penned his final entry in France, shortly before his death in 1969. Long out of print in English, Diary is now presented in a convenient single volume featuring a new preface by Rita Gombrowicz, the author's widow and literary executor. This edition also includes ten previously unpublished pages from the 1969 portion of the diary.